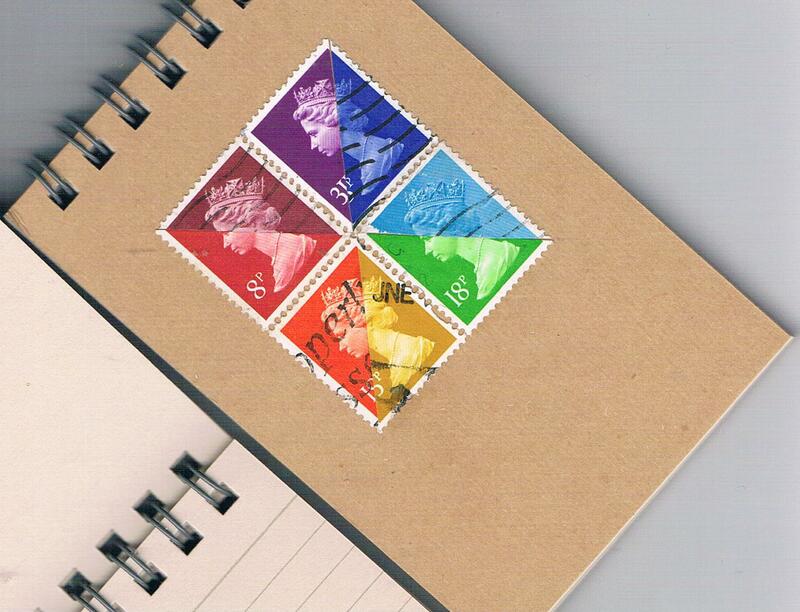 When is a stamp not a stamp? All text & images throughout this site are the intellectual property of Su Mwamba. Please do not reproduce any content without express permission of the author. 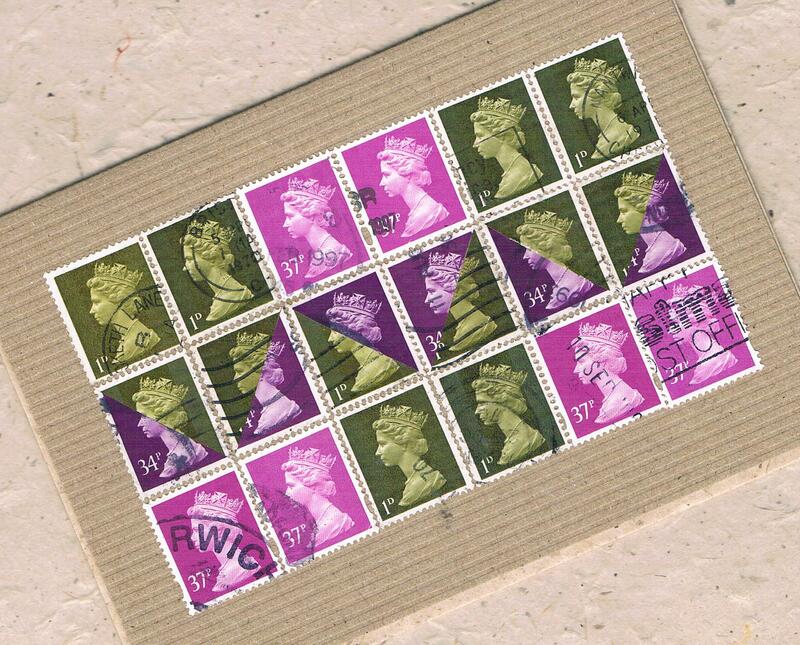 Whether slightly flawed or torn or simply too common, the stamps which find their way into my collages are primarily from the philatelists’ reject pile – Continue reading Which are the weeds? 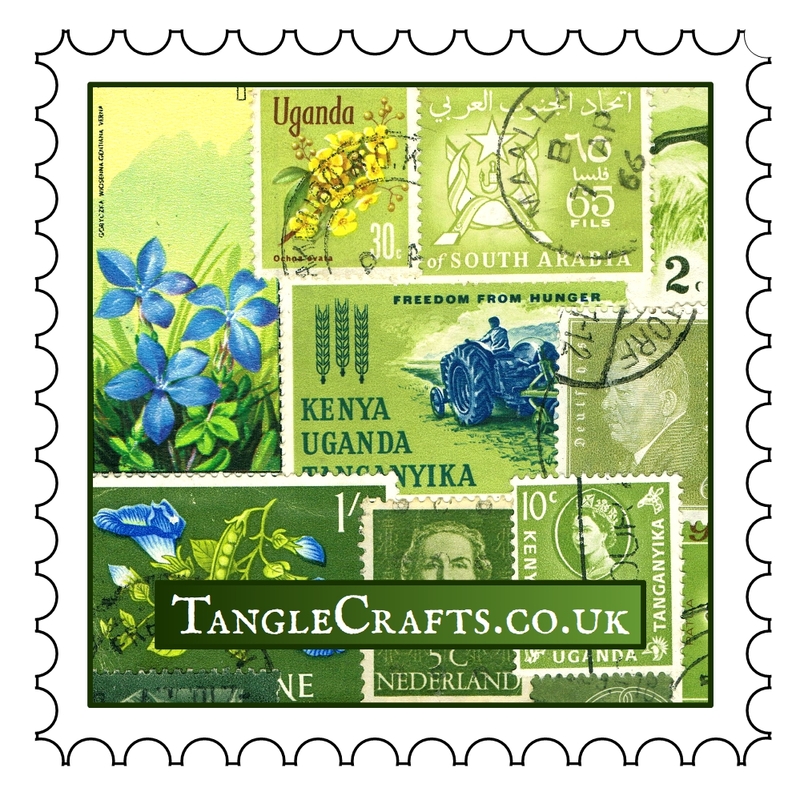 Posted on April 20, 2016 March 18, 2018 Categories Eco-friendly Crafts, Mail Art, postage stamps, stamp artTags eco-friendly, Mail Art, philately, postage stamp art, postage stamps, rare stamps, re-purposed craftsLeave a comment on Which are the weeds? Today I took a short break from Etsying in order to actually make my mum a handmade Mother’s Day card for once. I know my overseas readers don’t need to think about this just yet, but over here in the UK, Mothering Sunday is this weekend, so I was cutting it a bit fine! The pattern is mostly abstract, but if you look at it the right way, it does actually spell out MUM (in quite angular, blocky letters!) – follow the pink/purple from left to right…can you see it? Not incredibly obvious, I concede, but my mum will like the colour combination, regardless! 😉 I added an insert of cream coloured lokta paper inside, to give it a touch more ‘finish’. Now all I need to do is get it into the hands of the lovely Royal Mail (before they put their prices up, on Monday!). Give or take a bout of flu, I feel like I’ve been on the production line for the last few weeks non-stop – same old story: too many ideas, too little time! See mini gallery below for a sampling of new collaged notebooks (in varying sizes), some very prismatic rainbow postal patchwork, and a glimmer of Springtime in the end-of-winter weather led me back to the Secret Garden, with new zines, DIY seed packets & more. 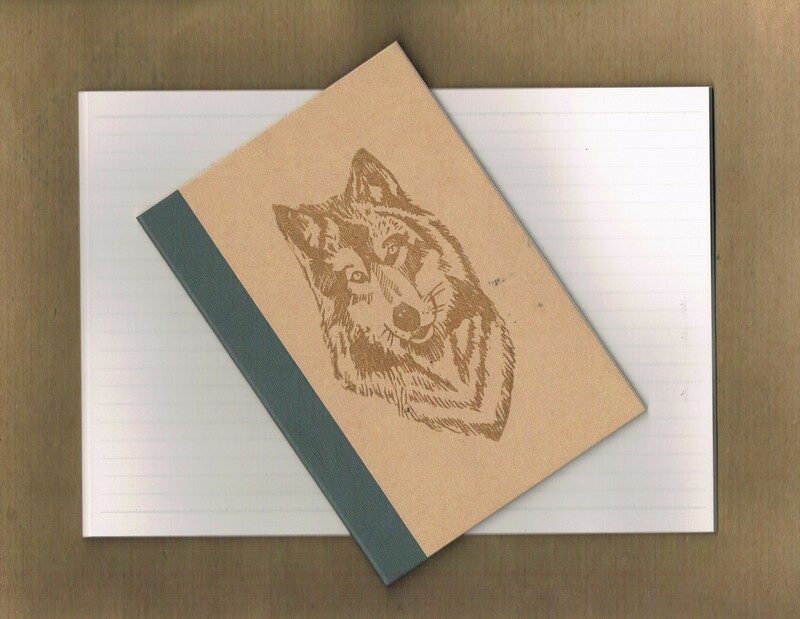 Not to mention some gorgeous wolfish notebooks from Britta’s latest hand-carved stamp.